Our smartphones are always with us, so it makes sense that a report conducted by TripAdvisor last year found that 34% (and rising) of connected travelers want mobile check-in – however it is thought that only 11% of hotels currently offer the time-saving convenience. Another report (by Software Advice) underlined the growing need to provide the option of self-service check-in; a combined 60% of respondents, across all demographics, stated that they are “more likely” to choose a hotel that allows guests to check-in with a smartphone than a hotel that doesn’t – so if that high percentage doesn’t shock you into providing self service check-in right now, I don’t know what would! But why do we, the guests, the connected traveler, want self-service check-in so badly? One of the main, and non-technological reasons… we really don’t like to wait in line and there are even studies to back it up! Two years worth of data collated by Cornell’s Center for Hospitality Research supports our natural disdain for waiting in line. Their study found that we have a tolerance level or “break point” when it comes to delays – and depending on where you are from your tolerance for waiting could be a calm and breezy 30 minutes if you’re Japanese or if you’re from the US, well then, exceeding the “breaking point” of 5 minutes results in a 47% decrease in guest satisfaction! Self-service check-in technology is available in other industries –the main comparison here is airlines. In 2013 data from Google’s traveler study, reported that 46% of leisure travellers (and 61% of business travellers) use a smartphone to check into their flight. In 2014 airline check-in using a mobile, kiosk or the web reached 38% of all check-ins, up from 28% in 2010 – some airlines reported achieving levels of self-service check-in as high as 50%! But aside from the airport, everyday use of check-in is commonly used for train tickets, the cinema, concerts and match entries etc. So if you add our impatience, which has increased (exponentially) by our now on-demand society, which has been fueled by technology, coupled with the fact mobile self-service is available in everyday uses, we naturally want to check-in ourselves, using our smartphones, whenever it makes sense – and to us, hotels naturally fit that bracket. You can see why guests are frustrated when self-service check-in is not provided as an option. “It’s not that they would choose [a hotel with] this technology over another—[rather,] they come in expecting it,” Hopper says. (Gene Hopper, Monscierge). All these studies and reports indicate that by implementing a self-service option will not only meet your guest needs saving them time but will enhance the overall service level experience. 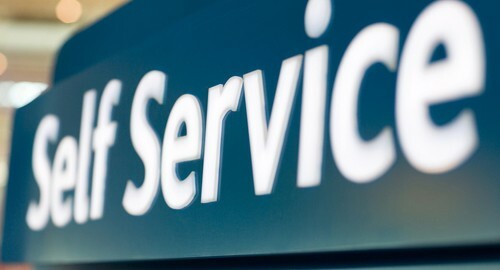 “… self-service is the way to go. Not only will it please the customers of the hotels, it will even please the staff, as they will be able to do more important tasks such as greeting customers away from the front desk” Patrick Avery, Editor Kiosk Marketplace. Luxury travel is booming: high-price trips are the strongest-growing market. An incredible 46 million international luxury trips were taken in 2014 (worth $148.62 billion); by 2021 luxury trips are anticipated to reach a value of $195.27 billion. But who is the high-end luxury hotel guest and what are their expectations? Luxury or high-end travelers are primarily defined by household income and net worth i.e. a minimum annual household income of $250,000 and a minimum net worth of $2,000,000. 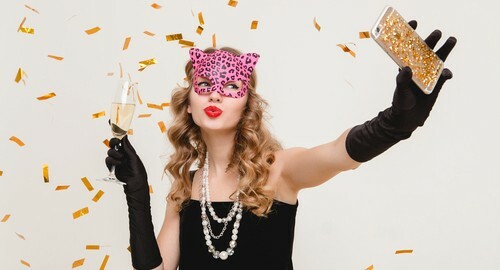 They are people who typically fly first class and stay in 4 and 5-Star hotels; they comprise of baby boomers (44%) and emerging Millennial’s (>10%); they have a particular lifestyle and corresponding attitudes with respect to the quality of travel services and experiences they are seeking. We all have a particular vision of the high-end traveler whether it’s a lavish watch exposed by a plush, well-tailored sleeve; their pet arriving curb side in a leather dog carrier or the car that costs roughly the price of a small mortgage. But is this view really fair? It is true that their desire and expectations for personalized service and the human touch are higher than ever. In responses to the American Express survey, conducted by the Futures Company, 93% of consumers said human touch is irreplaceable. But another truth is that these travelers are also quite tech-savvy. There is a great probability that they will have the newest and latest devices on the market. “Tastes evolve and change. People’s idea of luxury still includes elements of space, comfort, and quality, but increasingly involves cutting-edge technology.” David Pretty erstwhile Chief Executive of the UK’s Barratt Group. High-end luxury travelers want a seamless unobtrusive digital experience, married with an exceptional personal service. “High-touch becomes even more important as devices become ubiquitous. And linking those two together is the critical piece.” Claire Bennett, Executive VP of American Express Travel and Lifestyle Services. So how can the two (personal service + technology) be integrated? While there are the physical elements, such as smart in-room technology, USB ports and charging stations, the expectation of fast and robust Wi-Fi, etc., the service integration really comes down to hotel operations and their use of technology to interact and connect with guests; whether it’s using customer data to anticipate future guest requirements, employing ground service agents armed with iPads to check guests in as they arrive to speed up the check-in process, using intuitive software to communicate with housekeeping, etc. So it should not surprising to see the traditional luxury service hotels being the first to embrace guest self-service and staff mobility applications. These service leaders know that you need to give the guests what they want! Mobile is rapidly changing the way people interact with technology, and hospitality is no exception. When speaking about the impact of hotel technology, the norm has usually been to focus on guest-facing mobile technology; from mobile check-in to in-room technology and everything in between. It’s not often that we talk about hotel operations and how mobile devices have become critical tools on the other side of the hotel experience. The assumption, of course, is that it is that guest who is travelling – not the staff. Why would staff need mobile technology? But forward-thinking hotels have begun to see where the real ROI of mobility lies. By utilizing software delivered as a service (SaaS), and moving on-premise legacy systems to the cloud, property hardware requirements are minimized, overall cost of ownership is reduced and upgrades become much easier and more regular. In addition, when applications such as PMS and POS are cloud-based, staff can process orders, bookings and payments directly from a tablet or mobile device. Service requests get immediate execution from wherever the guest is located in the hotel. That on-demand capability immediately elevates a hotel’s perceived service level. But a hotel can also gain great operational advantage by using cloud based mobile housekeeping service solutions. Housekeeping staff can use their own device to log into the hotel “PMS” and check which rooms are ready to be cleaned and update the status when they are ready for guests. Using remote and instant room status updates means no more calls to the front desk! Housekeeping can efficiently move through rooms and front office staff are free to focus on the day-to-day business of looking after their guests. It doesn’t end there. Managers can assess live performance anywhere (home, car, lobby, etc.) and can spend more time in front of guests instead of in some back office. 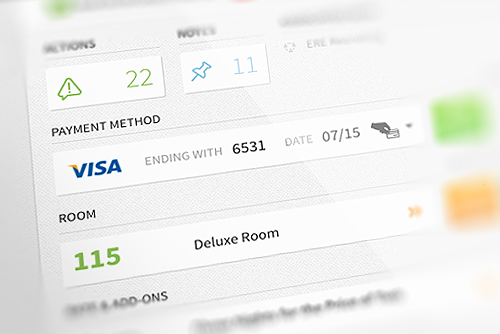 Likewise revenue management can react to hotel and market conditions in real time to make rate adjustments. Well-executed operational functions are a key determinant of whether a guest’s stay meets their expectations and whether they check out satisfied. Emerging and innovative mobile technologies can drive unprecedented change in the way hotels operate and serve customers by improving operating efficiencies, increasing hotel revenues and enhancing guest services. It is about time that “What is your mobile strategy?” is not answered simply with, “We have a mobile website.” Mobile technology is about efficiency and service – regardless of who is holding the phone. Would mobile hotel software be considered a disruptor? The term “disruption” has become so overused that a certain amount of eye rolling quickly ensues on just hearing it. It is a word that is thrown around a lot in the business and start-up space with many companies latching on to a buzzword and claiming all sorts of disruption. 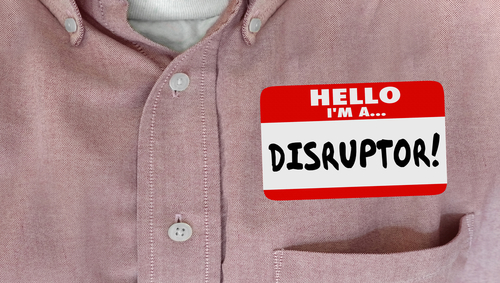 But what exactly is disruptive technology and when is it, if it is ever, appropriate to call yourself a disrupter? “Disruptive innovation” has a very specific definition that originated with Harvard Business School Prof. Clayton Christensen. According to Christensen, a disruptive technology or “disruptive innovation” is a new emerging technology that unexpectedly displaces an established one. However, regardless of its definition, the word is now frequently used incorrectly and truly disruptive business models are few and far between. Even Harvard Business Review agrees it’s being overused. “If a start-up launches a better product, at a higher margin, to an incumbent’s best customers — that’s not disruption. That’s just … innovation,” says Maxwell Wessel. A characteristic of disruptive technologies is that they focus on convenience, flexibility and simplicity for the consumer. With disruptive technology the traditional way of doing business becomes nearly obsolete. Tangible examples include on-demand television completely changing traditional television viewing habits, PC’s replacing typewriters, broadband and wireless networks, MP3 and Napster versus the music industry, etc. Looking at the hotel industry, Airbnb might be considered a disruptor. “Airbnb has turned the hospitality industry on its head, capitalizing on the rise of the sharing economy and mobile technology to provide unorthodox options for anybody seeking a roof over their head and a comfortable bed.” But will AirBNB actually displace traditional hotels? Not yet, but it may be too early to tell. So are mobile PMS, self check-in and out, and keyless entry candidates to be considered disruptors? Like airport check-in, there is a chance that traditional processes may, in fact, be displaced. The seeds of these paradigm shifts are quietly being sown and are creating a “new normal” for both guests and hoteliers alike. At StayNTouch, we are amused by other companies that rush in to claim the “disruptor” badge. Our feeling is that the real focus should be on whether new technologies can help hotels respond to changing guest expectations. For example, our technology doesn’t displace core business processes like rate management. However, our technology does act as a catalyst for hotels. It resolves underlying social and business needs that have been waiting to come to the surface but had no vehicle for doing so. Specifically, personalized guest experiences have been a very trending concept in hotels for the past 5 years. Existing business processes and technologies really can’t adjust to make that promise a reality. When a company like StayNTouch comes along, it lights a fuse. Suddenly hotels can leapfrog competition because they can now deliver a new, relevant guest experience. Does that count as a disruption? To us, it doesn’t really matter – change is coming one way, or the other. Automation is also helping us to understand what is really true “service” …and what isn’t. From the initial steps of booking a hotel stay to checking in and out, the hotel experience has become a lot more automated in recent years. Automation is the latest stage in a digital evolution and efficiency is the name of the game. “Travelers want greater automation in hotels. The majority of travelers would like to see greater automation of hotel services with over half wanting to use their mobile device to receive bills (58%), check-in (54%), checkout (57%), pay for hotel services (51%), and open their hotel room door (50%)” 2016 Cognizant Travel Survey. In the past automation would have been more associated with factory lines or robotics. But now automation has come to be associated with consumer facing software that provides the ability to interact directly with, traditionally, back-office systems as opposed to going through a staff intermediary. This sounds a lot like robots taking over human jobs, but actually, we at StayNTouch think this helps us understand what is really true “service” and what isn’t. First came personal computers (the word “personal” was important because before, these were business machines.) Then came the Internet, which was really, originally, a professional academic tool. Then came laptops, smartphones, tablets etc. And very soon, we will be in the world of IOT (the Internet of things). So we have moved from a place where technology was the purview of only elite professionals to a place where computers are used by 4 year olds everyday. Computer technology and software have not only become de-mystified, they have become integral to our basic lives. 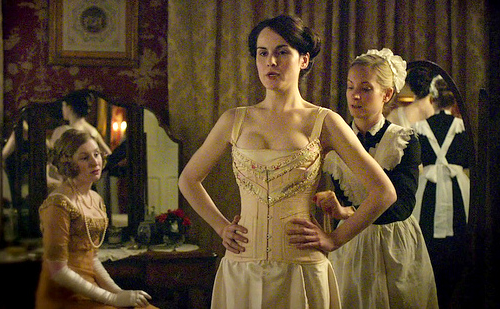 In Downton Abbey, The Crawley’s and all the upper class of that era have a plethora of staff from Under Butlers to Lady’s Maids to help them get dressed whenever, wherever. We now look at someone else buttoning our buttons and tying our shoes as absurd. Why would anyone need someone else to dress them? In a modern day comparison, as a technology-driven culture, we now feel that having someone else interact with software to complete tasks on our behalf is also just a little bit absurd. Automation isn’t that we prefer robots to people; it is saying that real service means providing something that isn’t so easy that we happily would do it ourselves. New technology is driving hotels to focus on service touch-points that provide a real value or a special experience for the guests. Checking guests in and out of a hotel is neither. Let them do it themselves. After all, that’s what they want anyway. Does mobile technology change guest/hotel interactions? Consider the story of the in-room phone. 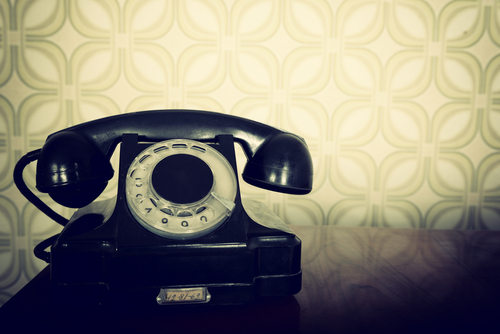 Here is a question: why is the in-room phone still in our hotel guest rooms? The hotel industry has been aggressive about eliminating certain items and services already that may not be needed such as logo towels, shoehorns, and even the telephone book which has been dispensed of since as far back as 2008. But the in-room is still holding on. Of course, the in-room phone was traditionally the main point of contact with not only hotel staff, but the rest of the world. Room-service requests, reservation modifications, messages, concierge help – all funneled through the phone by the bed. Plus, the phone used to be a great source of hotel revenue. Local and long-distance calls were a typical part of the guest folio at the end of the stay. Now, however, that revenue is long gone. It is almost a novelty to see such charges on a guest bill these days. And increasingly, guest/staff interactions on the in-room phone are becoming fewer. Obviously the culprit here is the mobile phone, the device that is our constant companion. At StayNTouch, we are neither for nor against the in-room phone. For us, it is simply a sign of the overall changes in guest preference and guest behavior. Mobile “phones” are not merely phones. In fact, they are probably less about making calls than gathering information and interacting with the rest of the world through a variety of means besides voice. Our little mobile companions allow us to book travel, accommodation, transport (or Uber), check-in, order room service, make a dinner reservations, stream TV and movies, instant chat with staff, request housekeeping, book a spa appointment, check out… etc. You can even make some of these requests before you arrive at the hotel. And that is just a fraction of the things that we are doing on our “phones” throughout the day. StayNTouch feels strongly that hotels need to understand that guests are coming to expect interactions with hotels through these devices. Those hotels that don’t have a mobile service model will soon be seen as out-dated, or even worse, inconvenient. The in-room phone was just the beginning. Mobile technology will continue to force a change in the way hotels conduct business and generate revenue. So why do we still have that in-room phone by the bed? The number one reason is that in the event of an emergency a phone needs to be available. “The primary reason we continue to deploy them [in-room phone] is for local- and state-mandated 911 requirements,” says Vivek Shaiva, EVP and CIO, La Quinta Inns & Suites. So it looks like the in-room hotel phone becoming the equivalent of the fire alarm. Required but, hopefully, rarely used. What else in your hotel is going to evolve next? The FAQs Series: Do we process credit card transactions? Are you secure? So, the answer to this question is; we provide a secure environment to process credit card transactions but it’s actually our partner, Merchant Link that takes care of the all the important stuff… and we’re going to explain why that is. Card Growth: In recent years, cashless payments and the use of payment cards have become commonplace in personal finance; their popularity has grown nearly hand in hand with the growth of digital. It is estimated that 10,000 payment card transactions are made every second around the world. “We predict that contactless mobile payments – and the integration of mobile devices as a tool for managing spending – will move into the mainstream, bringing us a step closer to a cashless society.” Rachelle St Ledger, PrePay Solutions. Payment Complexity + Security: Payment Processing is becoming more complex. With a credit card industry moving at such an accelerated pace, changing Payment Card Industry (PCI) security regulations, and a constantly expanding set of alternative payment offerings, it is becoming more challenging for a hotel company to stay current. As a result most hotel companies have moved away from direct interfaces with payment processors to eliminate the need to store payment data on their network and remove any security risks. Enter, the payment gateway. Payment Gateway: Instead of a direct interface with a payment processor, the payment gateway facilitates the transfer of information between a point of payment (such as the property management system) and the bank, directing all data through a secure route. The gateway secures customers data by encrypting the transaction and tokenizing the card number. “With tokenization, card data is encrypted at the point where it is captured and sent to the merchant’s payment processor where the data is decrypted and the transaction is authorized. The processor then issues a token representing the entire transaction back to the retailer while the actual card number itself is securely stored in a virtual vault.” Dave Fortney, The Clearing House. Why Merchant Link? Besides being a great company to work and partner with, Merchant Link have been around a long time and know their stuff when it comes to all things card payment related. They are a leading provider of cloud-based payment gateway and data security solutions, enabling 6 billion transactions annually for some of the world’s best-known merchants. They currently support more than 400,000 hotel, restaurant and retail locations, providing connectivity to the major U.S. payment card processors. So yes, we support the secure processing of credit card transactions with the help of our partner Merchant Link. Have any good questions for us? Let us know and we will do our best to answer them in upcoming FAQ Series posts! Do we process credit card transactions? Are you secure? Is your Zest product an App? The Cloud can be slow; what makes StayNTouch solutions different? With headlines from Forbes such as “90% Of Start-ups Fail” it’s not uncommon for established companies and hoteliers to have certain perceptions and misconceptions of new business start-ups. CB Insights 2014 reported the number-one reason for failure is the lack of a market need for their product, followed by lack experience and simply running out of money. But fear not; we’re in it for the long haul. We are in the 10%! 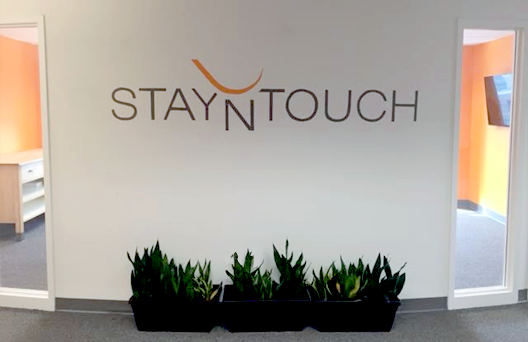 While we would perhaps like to lie a little bit about our age, StayNTouch is comprised of a group of experienced veterans with a track record for leading and delivering solutions for the hospitality technology sector. Our team has been responsible for designing and building some of the most successful hotel software in the world. Since our inception we have signed dozen of high profile properties, such as MGM Resorts and the Fontainebleau, and have struck partnerships with companies such as SiteMinder, and Merchant Link, to strengthen and advance our solutions. We are supported by a number of travel industry investors and recently received a fresh cash injection, securing $9.5m in funding to support our continued growth. So, as for “Do you have an office?”… Not only do we have an office, we have actually just moved into a new bigger shiner office, and we’re settling in quite well! StayNTouch; 8120 Woodmont Avenue, Suite 500, Bethesda, MD 20814.